Nails go back at least to the Ancient Roman period. Until the end of the 18th century, they were always made by hand, a nailer providing them with a head and point. Until the early 17th century there were workmen called slitters who cut up iron bars to a suitable size for nailers to work on, but in 1590 the slitting mill was introduced to England, providing a mechanical means of producing rods of uniform cross-section. In antiquity, the Greek mathematician Archytas of Tarentum (428 â€“ 350 BC) was credited with the invention of the screw. By the 1st century BC, wooden screws were commonly used throughout the Mediterranean world in devices such as oil and wine presses. 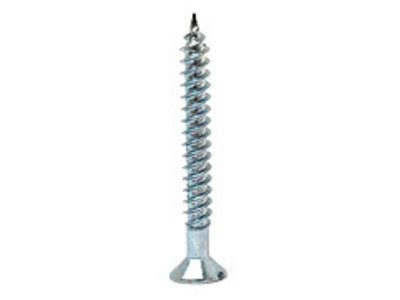 Metal screws used as fasteners did not appear in Europe until the 1400s.